One of the biggest blockbusters in recent times, ‘Thalapathy’ Vijay’s Sarkar released last year went on to garner over 250 crores in worldwide box office collections. An A. R. Murugadoss directorial, the action political drama was produced under the Sun Pictures banner and featured chartbuster music by Academy Award-winning composer with Keerthy Suresh as the female lead followed by Varalaxmi Sarathkumar, Radha Ravi and Pala. Karuppiah as the antagonists and Yogi Babu in a supporting role. Meanwhile, the teaser for Sarkar that came out last year was one of the most viewed in recent times with over 36 million views and is still going strong. That said, it has now achieved a new milestone crossing over 1.5 million Likes on YouTube and is now the first Tamil teaser/trailer to set this benchmark in India. 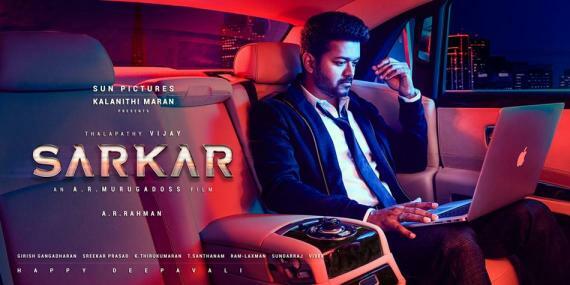 Sarkar continues to be one of the most discusses films even after a couple of months and is officially the sixth film in Vijay’s career to enter in the 100 crore club.